People often ask me, “what is a Gaffer?” Historically, a gaffer is the head electrician on a film set. It all started with a guy and a pole with a hook on the end of it. The gaffer would pan, tilt and control the flood and spot function of the light with a “gaff.” The name got its start in the world of theater. The term was born in Britain, during Ye Olde Victorian age. Additionally, gaffer is a colloquial term for “boss.” The gaffer executes the vision of the Director of Photography and is his right hand man. The gaffer’s first assistant is the “best boy.” The best boy is the second electrician. 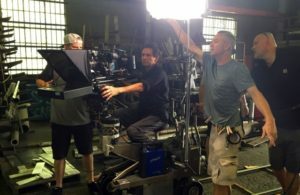 A gaffer manages all of the lights and electric on a film set as well as all labor in the electric department. On big movies and television series there are “celebrity gaffers.” They do virtually no manual labor and simply direct their team members as to what needs to be accomplished. 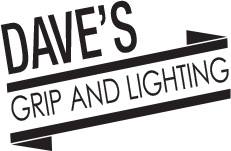 Dave of Dave’s Grip and Lighting is not a celebrity gaffer; he is “hands on.” If you need a Fort Lauderdale or Miami gaffer, give me a call (305) 409-0009, and you will not be disappointed!